What We Know. What We Don’t. The clock ticks past 11:00 PM in Caracas on January 9, 2013, the eve of Venezuela’s scheduled presidential inauguration. By this point, all doubt has been removed: Hugo Chavez, stuck in a hospital bed somewhere in Havana, will miss his own party. Actualidad Union Radio Caracas pauses its programming for a brief news update which mostly consists of homicide reports from around the city. One, in a private sports facility, appears to be the work of an assassin, reports the anchor. A second, this one in a public sports facility, appears to have been the random result of gunmen indiscriminately spraying rounds. Regularly scheduled programming resumes with an extended interview with Julio Borges, a leading opposition figure in the National Assembly, Venezuela’s legislative body. He speaks of needing bodyguards to safely enter the assembly. He is asked to interpret the significance of Hugo Chavez’s public support for Vice President Nicolás Maduro as his successor. Right now in Venezuela little is certain. And anything can happen. Facts as fundamental as the status of President Hugo Chávez remain shrouded in mystery. There has been no word, photo or video from El Comandante in over 35 days. 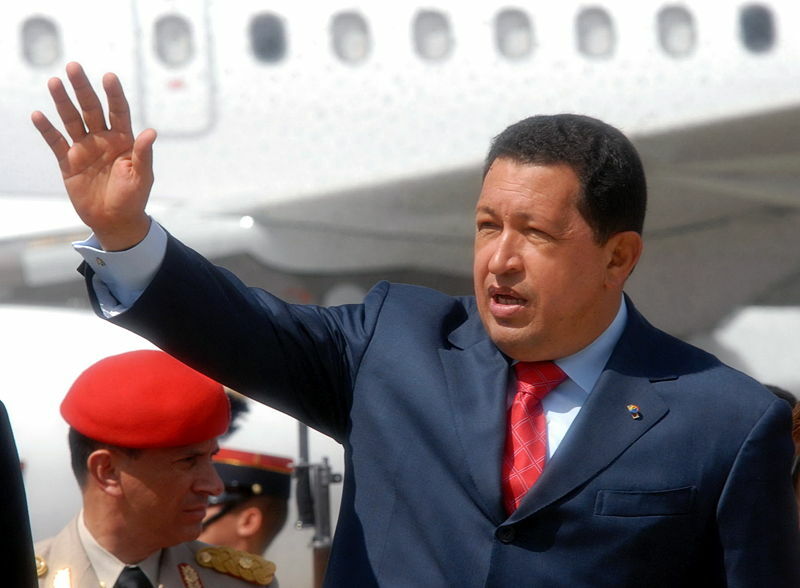 A rumor floating through the Caracas press on January 14 held that the government would announce his death on the 15th. Or maybe the day after. With multiple layers of intrigue, the case has the hallmarks of a Hollywood thriller: The mysterious whereabouts of a loved, feared and despised leader; a power vacuum; a divided and unsure governing party; an ambitious opposition; an unpredictable military; an increasingly volatile and polarized populous – all with the backdrop of a deteriorating domestic economy. Even Cuba, a stalwart of Latin American drama, makes a key cameo, acting as gatekeeper to Chávez and as an influential (if shadowy) kingmaker in Caracas. Someday, it will make a thrilling film. At the moment, however, no one is sure how it will end. Anything from a smooth transition to military intervention could happen. From Washington to Brussels to Buenos Aires, respected scholars, diplomats and journalists will offer viable predictions. In retrospect, most will prove inaccurate. In these moments, it can almost be of equal value to clarify what we know, rather than to posit finger-to-the-wind guesses as to what might happen. 1. President Chávez is extremely ill. Typically ubiquitous in Venezuelan media, Chávez has been incommunicado since leaving for Cuba on December 10. Not only was he unable to make the short flight to Caracas for the inauguration ceremony, he was apparently unable to even sign the letter submitted by Vice President Nicholas Maduro to the National Assembly announcing his absence. The once omnipresent president had no recorded speech, or even a thumbs-up photo for supporters who rallied on his behalf January 10th. Official sources have denied that Chávez is in a coma, but they have not denied that he is on life support. His precise status remains a mystery, but is it undoubtedly grave. 2. We know that the Venezuelan economy is spiraling out of control. Venezuela relies on imports. Imports require American dollars. In recent weeks acute dollar shortages have led to import scarcity across the country. The black market exchange rate, often the only rate available, has deteriorated from roughly eight Venezuelan Bolivar Fuerte (VEF) to the dollar in early 2012 to reports of over 18VEF to the dollar today. As a result, citizens face shortages on staple goods such as sugar, milk and corn starch. Economists estimate that election-year splurges increased Venezuelan public spending by over 20 percent, placing mounting pressure on an already overvalued Bolivar Fuerte. 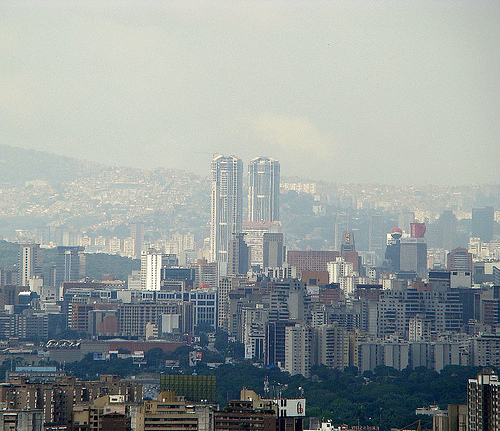 Venezuela has long been due for devaluation, and the financial community expected it to occur late in the 2012 holiday season, after the October presidential elections. Chávez’s illness has delayed this necessary devaluation. The PSUV in general, and Vice President Maduro, in particular, could be facing new elections within months – hardly a propitious time to announce that everyone’s money is worth less. Meanwhile, dollars and imports remain scarce, and Russell Dallen, Editor-in-Chief of the Latin American Herald Tribune reports having to travel to three stores simply to find toilet paper. 3. 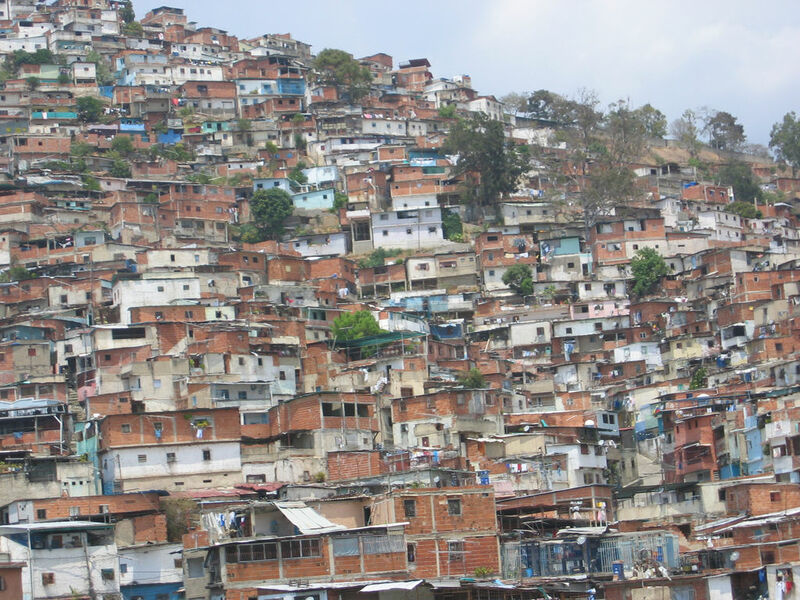 There is at least a superficial leadership void in Caracas. For years, Chávez maintained a heavy hand in the day-to-day activities of his government. Now, his carefully manicured apparatus appears unsure how to act without him. Vice President Maduro, recommended by Chávez as the future leader of the ruling Partido Socialista Unido de Venezuela (PSUV), has been hesitant to represent himself as anything more than a placeholder and spokesman for Chávez. According to the Venezuelan Constitution, Speaker of the National Assembly Diosdado Cabello should assume the presidency on an interim basis in the event that a sitting president is incapacitated. A powerful figure within Chávez’s PSUV (he is the Vice President of the party), Cabello is seen as less doctrinaire than Chávez, and carries more pull with the military than Maduro. Diosdado has long been considered a potential successor to Chávez, but he has not assumed such a role publicly. He has suggested that any interim presidency would be tantamount to a coup. Both Maduro and Cabello have been reluctant to project executive power. Perhaps they fear the wrath of Chávez in the event of a miraculous recovery. Perhaps they fear the wrath of an electorate should it perceive either of them to be scheming for the presidential sash while a beloved leader fights for his life. In the meantime, no one is quite sure who is calling the shots in Caracas. Some fear that the answer is nobody. 4. The opposition has been patient. While the opposition did force a Supreme Court ruling on Chávez’s absence, it has not acted overaggressively to escalate the situation. Opposition leader Henrique Capriles criticized the Supreme Court ruling as politically motivated, but opposition protesters have not taken to the streets, nor have they amplified cries that the government is illegitimate. Rather, opposition figures such as Assembly Member Borges have issued incremental demands, such as an honest, public proclamation of Chávez’s health, or at least proof that he is alive. This patience reflects confidence and it could prove to be the best overall strategy. If the opposition believes that President Chavez’s demise is inevitable, why attack the legitimacy of a popular, dying president? Rather, they can focus on forthcoming elections, which would represent a second chance for the Capriles coalition that garnered 45 percent of the vote in October 2012. Only this time, they would be running against the memory of Chávez, and not Chávez himself. The sympathy vote might see the PSUV through one election cycle, but its support could subsequently deteriorate alongside of the economy and public safety. The opposition appears confident that time is on their side. 5. The Cuban government has material interest and influence in Caracas. Cuba receives 100,000 discounted barrels of oil per day, nominally in exchange for the thousands of Cuban doctors operating in Venezuela. These hydrocarbon exports are part of the Petrocaribe program that costs Venezuela billions of dollars annually. Given Venezuela’s fiscal deficit (predicted to hit 3.9 percent in 2013) and an increasingly tenuous reserve position, an opposition government – or even a less ideological PSUV government – would be tempted to cut this largess. Just as in the years following the 1991 dissolution of the Soviet Union, Cuba would struggle mightily to replace these subsidized imports. The Carriebean island will use the influence it has built in Venezuela through the 14 years of Chavez’s presidency to promote a transition favorable to Havana. Cuba’s influence over the PSUV was underscored over the weekend of January 11 when both Maduro and Cabello traveled to the island to convene with Raúl Castro. Cuba may see a strong PSUV as its best option, and could attempt to unify the party, brokering an internal truce as Fidel Castro did with the Nicaraguan Sandinistas in the late 1970s. As Dallen stated in a January 14 Council of the Americas panel discussion, some worry that Venezuela is currently a rudderless nation. Others worry that the rudder is controlled by Cuba. 6. Venezuelan institutions are thoroughly Chavista. We can only guess who will emerge as Venezuelan president in the event of a transition. Whoever it is will lead a government that has been built in Chávez’s image over 14 years. The Legislative Assembly, Supreme Court and the powerful state-owned oil company Petróleos de Venezuela (PDVSA) are all solidly in the Chavista camp. PSUV governors control 20 of 23 states. 11 of these governors are former military officials, indicative of Chavista reach into the military. The incumbent stranglehold on institutional power will have key procedural implications. For example, the constitution calls for elections within thirty days, but nothing stops the government from announcing that elections will be held in, say, five. Such a move would severely limit the opposition’s ability to organize and execute any campaign. 7. Anything can happen. Venezuela will likely continue in a state of limbo until Chávez either recovers, or is deemed incapacitated. His demise could occur hours from now or it could drag out for months. Until then, all sides seem reluctant to play their hand. Should Chávez leave us, the situation could develop rapidly. As international observers, we can only hope that, in a country already suffering from staggering violence, the battles take place in the National Assembly or at the ballot box, and not on the streets. This entry was posted in Andean Region, Uncategorized and tagged Cuba, Diosdado Cabello, Hugo Chavez, Nicolas Maduro, Venezuela. Bookmark the permalink.